North Node Axis in Cancer – The South Node in Capricorn and the North Node axis in the Fourth House – The South Node in the Tenth house. The South Node in CAPRICORN makes you be in a comfort zone on disciplined, organized behaviour and we have the natural qualities of a leader. The desire to do the job is a natural attitude. You can become leader without involving your ego, simply because of your actions you can get to be recognized, being leaders in a field that you know that you are able to perform. Then you look at the ruler of the sign of the South Node, in this case SATURN is the ruler of Capricorn. Find where is Saturn placed in your natal chart and you will know how you tend to react to keep yourself in the comfort zone of the South Node. It is also useful to analyse the aspects between the lunar nodes and the MARS. The Southern Node is an irresistible attraction, an experience you want to repeat to infinity. The North Node in CANCER amplify the qualities of this sign and especially of the planet that is ruling the sign of Cancer, MOON, so you are very emotional, empathetic and intuitive. You have a permanent desire to protect those in need, especially children and old people. If these qualities are used, you can become a successful politician or a romantic novels writer. Then you look at the ruler of the sign in which the North Node is located, in this case MOON is the planet that rules the Cancer. 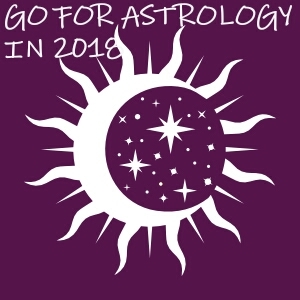 Find where is Moon placed in your natal chart and you will find how you tend to act to get out of the comfort zone by learning some outstanding lessons, how you accomplish your mission. It is also useful to analyse the aspects between the Moon and beneficial planets (Venus and Jupiter) and malefic planets (Mars and Saturn). The next month I will post an article about North Node in Leo and South Node in Aquarius and/ or North Node in fifth house – South Node in the eleventh house.